The music service earned a stonking $29 bln valuation in its early moments as a public company. Its non-traditional float scored insiders more liquidity, while saving on fees. Was it a real success, either for the company or for its unusual method? Ask this time next year. 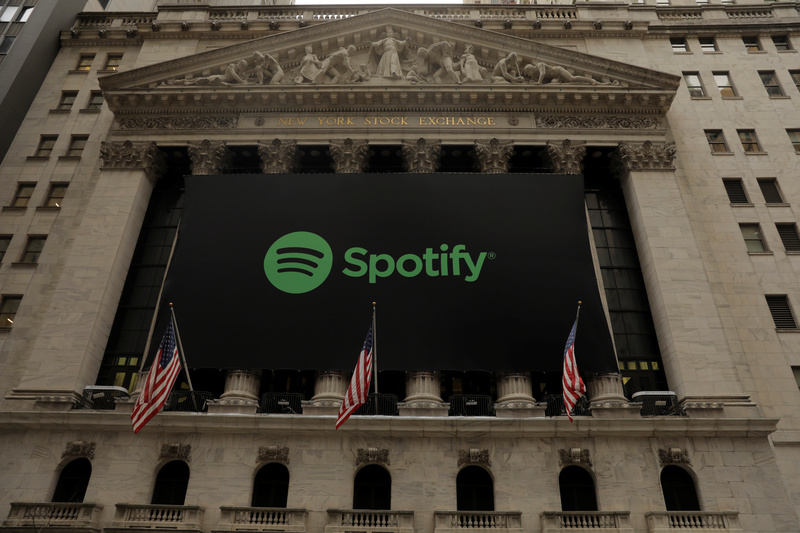 The Spotify logo hangs on the facade of the New York Stock Exchange as the company lists its stock with a direct listing in New York, U.S., April 3, 2018. Spotify shares began trading at $165.90 on April 3 as they debuted on the New York Stock Exchange. The music-streaming service directly listed its shares, allowing existing owners to sell directly to new investors, rather than undergoing a traditional initial public offering. At the price of $160 per share as of 1300 EDT, the company had a market valuation of $28.5 billion.